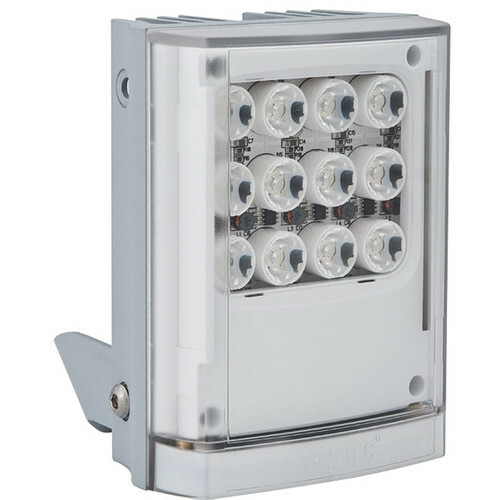 The silver VAR2-W4-1 VARIO2 w4 Medium-Range White Light Illuminator from Raytec uses PLATINUM Elite SMT LED technology to deliver light to distances up to 361'. It features an interchangeable lens system with Hot-spot Reduction Technology to deliver even illumination. With an optional handheld remote control, the VARIO2 makes installation and commissioning quick and easy.